Modern financial planning does a great job of preparing people for the journey of retirement, but it does a poor job of actually planning the journey. It is essential to focus on the delivery of income throughout retirement because so many factors affect our ability to achieve our desired goal. These factors include market volatility, inflation, tax rates and unforeseen events. Modern planning puts a great deal of emphasis on the need to save and how to invest. It focuses on some “number” that needs to be achieved, as if merely accomplishing that goal itself would assure the income one might need for the balance of their life after “retirement.” One of the greatest developments of the last 20 years is that people routinely live to be 100 or older. So if you retire at 65, your “number” needs to deliver income for 35 or more years. Given the timeframe and these influencing factors, it is essential to plan for the distribution of income from several sources and to create balance and flexibility in the plan in order to achieve optimal results. As we look at our income in any given year during retirement, it is easy to see that there might be multiple sources, including a pension plan, Social Security, 401(k) distribution, and investment and rental income. Once these sources are identified, it is possible to determine how much income will come from any one source in any year. For example, if market returns are high, we might plan to take larger distributions from that account during that year. Also, if we have a guaranteed source of income, such as a pension or Social Security, we might choose a strategy to maximize their value over time due to the guarantees. It is important to recognize the security that a guaranteed monthly deposit in your account can provide because people tend to tolerate risk and volatility poorly as they age. These guarantees provide a great deal of stability and should be relied on to provide 60 to 70 percent of the early retirement income needed. This will cover most basic living needs and create a stable base on which to build. These projections are best viewed in a model that not only recognizes the ever-increasing income needed after the effects of inflation but also accounts for the source in any given year. These sources also need to be capable of delivering higher amounts of income in order to offset increasing costs. Modeling also makes it possible to identify potential new strategies that can be added to the plan to create more flexibility and balance. In addition, it becomes possible to pull together a lifetime of strategies – all the things we have done with retirement in mind. Often, these strategies are executed over time without regard to how they might best be coordinated and implemented with each other. The long-term view and the power of collaboration is ignored. A very common example of this question is the age when an individual should start taking their Social Security – the factors to be considered are other income, amount of need and how to maximize the total dollars received. The secret to successful planning is to create a model with multiple strategies that can be activated over time in order to maximize income, reduce risk, minimize taxes, offset the savings of inflation and create a “shock absorber” for unforeseen events, like negative markets, loss of principal, medical expenses and long-term illness. 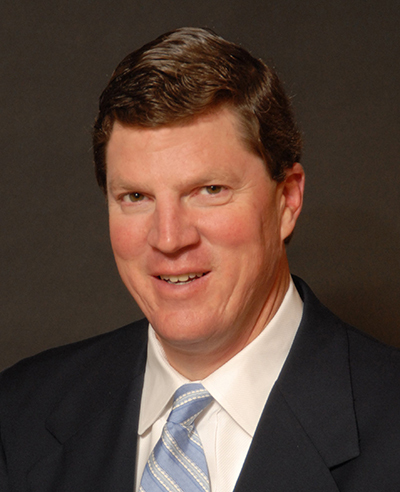 Joe Guyton is principal of Portsmouth-based The Guyton Group.